Did Narendra Modi's top bureaucrats from the Gujarat cadre, currently in the Prime Minister's Office (PMO), work out a well-planned strategy to lobby with three top international institutes, all headquartered in Washington, World Bank, Moody's and Pew, for ensuring a sharp image make over of Modi ahead of the Gujarat elections, after all three last year seemed least cared to show India under Modi in good light? It would seem so, if a top insider of Gujarat government is to be believed. According to this insider, he knows how at least one of the closest Modi aides, who is a Gujarat cadre retired IAS bureaucrat and has been one of the most trusted Modi men ever since the 2002 Gujarat riots, was the key person who worked out a complete plan to ensure that the three institutes change their "approach". "Those who have been in the Gujarat government under Modi have had enough experience about how lobbying works in the US", this insider, who did not wish to be identified, said, adding, "When Modi was Gujarat chief minister, top world consultants would be hired with the financial help of Indian American supporters of Modi in the US." 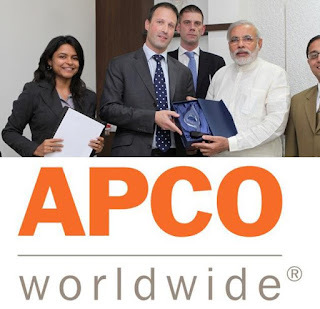 Consultants hired not just included Pricewaterhouse Coopers, Ernst & Young and KPMG, all of whom helped Modi in getting publicity for his Vibrant Gujarat biennial global business summits, ensuing appointments with well-known business and political leaders across the world; they included one of the best known American lobbying firms, APCO Worldwide, whose white officials were even stationed in Gujarat and directly interact with Modi and his aides. Hired by Modi in 2007, APCO established a contact point in Ahmedabad. Considered the largest known foreign agent of Israel, the reason behind Modi’s particularly rising popularity and larger than life image in 2013, ahead of the Lok Sabha elections, lay in "dedicated efforts" of this global Public Relations giant, founded in 1984 as a subsidiary of one of Washington’s premier law firms Arnold & Porter. APCO has been offering “professional and rare expertise” to governments, politicians and corporations, and it's expertise comes from a 70-odd member Advisory Council, which includes a former president, many lawmakers, administrators, bureaucrats and captains of industry from various parts of the world. It undertakes a range of activities meant to influence public opinion and government policy in favour of its "clients". Media reports say how the top firm in 2010 offered to start an image-improvement campaign for the US finance industry. It and handled grassroots campaign against smoking regulations for tobacco giant Philip Morris, worked to counter the harassment accusations against Hewlett-Packard Company’s CEO, as also Ford’s troubles with Firestone tyres. It also "helped" shield Kazakhstan’s President-for-life Nursultan Nazarbayev from attacks by his former son-in-law, and British Prime Minister Tony Blair gain support for his decision to enter the Iraq war. Said to be directly involved with the American military-industrial complex and its war machine, in May 2003, APCO helped launched a task force to help American companies win contracts for the rebuilding of Iraq, led by a former US Ambassador to Morocco, Marc Ginsberg; and early this decade it was instrumental in preparing a report meant to provide a legal basis for attacking Iran. "If Modi could do such lobbying as Gujarat chief minister (2001-14), it is not difficult to surmise what he might be doing, at a much larger scale, when he India's Prime Minister, especially when he found that the World Bank showed, in 2016, India slipping to the 130th position in Ease of Doing Business, Moody's reaffirming its Baa3 issuer rating last year for India, saying the government’s efforts had not achieved conditions that would support an upgrade, and Pew began showing Modi's popularity slowly sliding from 87% to 81% in 2016. While the Gujarat insider didn't have exact details of who all were hired to lobby for Modi over the last one year for his makeover, he claimed, they got enough indication starting with mid-2017 that "something was brewing". Things began clearer in August with the appointment of S Aparna, an IAS officer of 1988 batch, who worked in the Chief Minister's Office (CMO), as Executive Director, World Bank, to represent the "constituency of India, Bangladesh, Bhutan and Sri Lanka for three years." "Aparna was Modi's choice in the World Bank. She wouldn't have got the job without Modi's direct approval", the insider said, adding, "Ever since she was sent to Washington on deputation, the buzz was strong in the Gujarat Sachivalaya that this was done to get a feedback about things happening among lobbying circles around Modi and India in Washington." "An official close to Modi in Gujarat even commented, the first thing you would notice is: India's ranking in the World Bank's Ease of Doing Business would now drastically improve'. This exactly what happens. 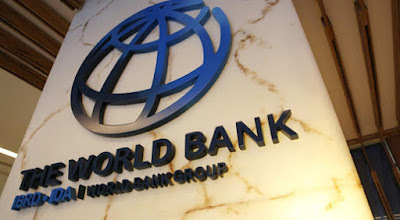 India's World Bank ranking improved by a whopping 30 points, to 100", the insider said. As if this was not enough, a retired ex-IAS bureaucrat from Odisha, a batchmate of Modi's top aides from Gujarat in PMO, was given a team of five persons and sent to Washington to ensure that nothing went wrong. Their mandate was, come what may, Modi should get clean chit from international agencies, especially when economists at home had begun to say that the Indian economy was in a shambles. As expected, following World Bank, Moody's upped India's rating to Baa2 from Baa3, and changed its rating outlook to 'stable' from 'positive', the best in 13 years, going so far as to suggest that demonetization and Goods and Services Tax helped things stabilise. This was followed by 9% jump in Modi's popularity in a Pew International survey, to 90%. The Pew survey, which has come under criticism for speaking to just 2,464 respondents in India between February 21 and March 10, admits that though it's "primary sampling units are urban settlements and rural districts stratified by region and urbanity", and it's sample was "disproportionately urban.". 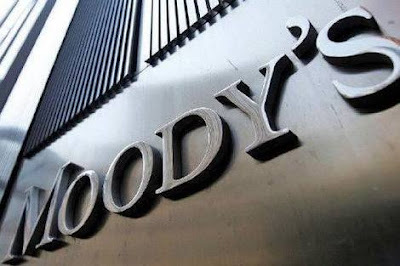 As for Moody's, its methodology was questioned by Finance Minister Arun Jaitley, it upgraded India's sovereign rating after 13 years as 'belated recognition' of reforms undertaken, amidst facts coming to light that that Moody’s was fined in the US, in Europe and in Hong Kong for ‘rating fraud’ during the last year and a half. In January 2017 Moody’s agreed to pay a fine of $864 million to escape criminal action for its inflated rating of banks and securities in US. In June, 2017 Europe’s markets watchdog imposed a penalty of 1.24 million Euros on Moody’s for “not adhering to the correct rating protocol”. And in April 2016, a Hong Kong tribunal upheld a penalty of 1.4 million HK Dollars on Moody’s Financial Service for similar reasons. This explains a lot. There were people who were wondering about the timing of this announcement but since there isn't a fixed time for any of these rating services to make an announcement no one could say anything for sure. Those who areopposing Modi have concocted this story. India deserves upgradation and Modi deserves this recognition . Hats off to Modi and Hats off toModi.